Pets are REALLY bad at taking selfies. They’re always turning away and making less than adorable faces. 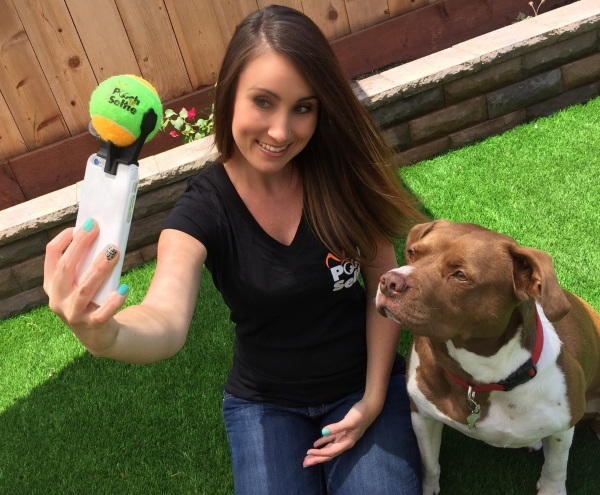 Fix that problem for your dog at least with Pooch Selfie Smartphone Attachment. It’s the attachment for your smartphone that will hold your puppers attention. This is so simple, it’s amazing that no one thought of it before. It is basically a tennis ball in a holder that you attach to your cell phone. That’s it. There’s no magic. It will just help to assure that your dog is focused when it comes time to get that next Facebook profile picture. Of course this project relies on your dog not being the type that will just go after the ball whenever they see it. If you have a particularly excitable pooch, you might find your cellphone taking a trip across the yard when Fido goes after the prize on top of it. If you have a pet that will at least wait for you to throw it, then this might be the perfect way to get some cute snaps. Now all they need is something to keep cats captivated. 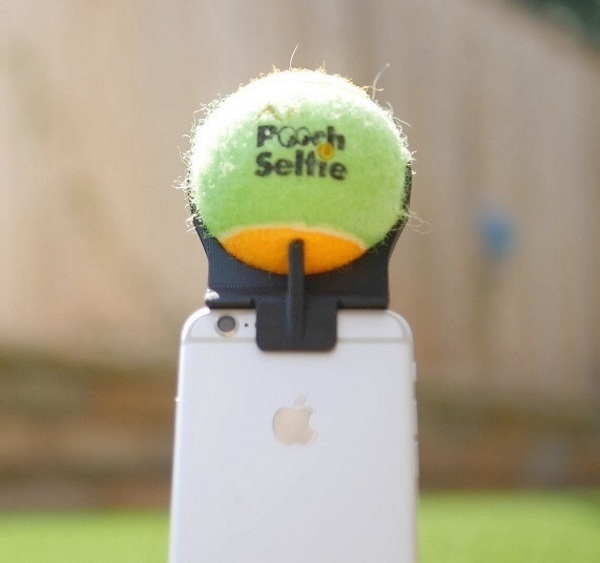 Pooch Selfie Smartphone Attachment is $12.99.